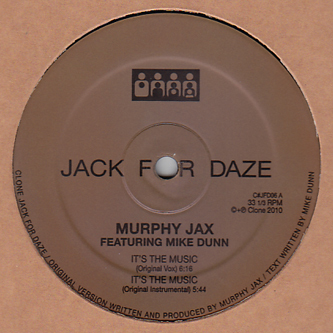 Murphy Jax and Mike Dunn plug into the Chicago House revival with a proper box beater for Clone, backed with Alden Tyrell and Legowelt remixes. 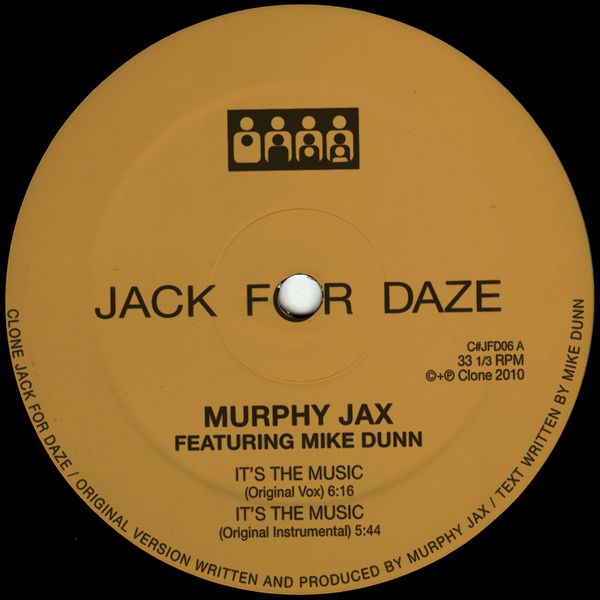 'It's The Music' sounds like it could have come out on DJ International 25 years, combining raw analogue machine sounds with Mike Dunn's vocals in truly classic styles. On the remix, Legowelt plays exotic scales over the crispy jacker's beat, reminding of his recent 'Bayville Cove' winner, while Alden Tyrell injects some squirming acid funk on his version.